Iridium's 66 low-Earth orbiting (LEO) cross-linked satellites – the world's largest commercial constellation – operate as a fully meshed network. Reaching across land, sea, and air, including the polar regions, Iridium® solutions are ideally suited for industries such as maritime, aviation, government/military, emergency/humanitarian services, mining, forestry, oil and gas, heavy equipment, transportation and utilities. Iridium also provides service to subscribers from the U.S. Department of Defense, as well as other civil and government agencies around the world. 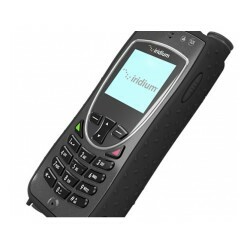 Iridium sells its products, solutions and services through a network of service providers and value-added dealers.